Steven T. Mulligan is Counsel in the Construction industry group, focusing primarily on business and commercial law. He practices out of the Firm’s office in Denver, Colorado. Steve represents construction contractors, businesses, business owners, and sole proprietors helping them review and negotiate contracts, buy or sell companies and assets, obtain financing, forming and governing business entities, and planning for business succession. He also represents debtors in reorganizing and creditors in pursuing their creditor rights and remedies. 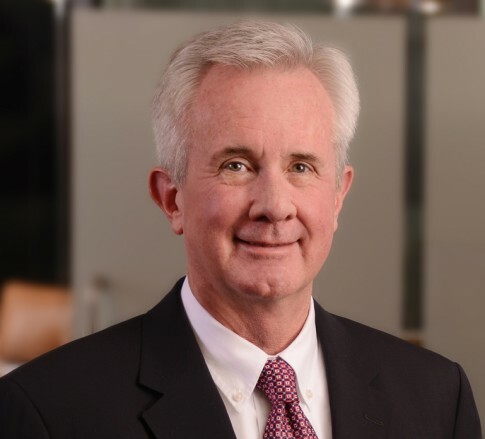 Steve’s vast experience ranges from his restructuring and reorganization cases to his role as a former in-house counsel for a privately held, diversified group of international companies. During his tenure as in-house counsel, he provided advice on a wide range of legal issues relating to the companies’ diverse operations. This is the type of institutional experience that allows him to provide the insight others can’t. His well-rounded legal abilities aside, Steve’s competitive nature reaches outside of the office and onto the ice. He began playing hockey 20 years ago and soon found himself competing on an adult team called the Thoroughblades. The highlight of his time on the ice was being joined on the same team by his son, making his love for the game a family affair although he doesn’t get to play as often as he would like. Steve also is a man of travel, having lived in different destinations throughout his career, even spending three years across the pond in London, England. When he isn’t in the office, he can also be found hiking and biking new trails and documenting his views through photographs. Steven’s knowledge and understanding of the industries he serves and his practice areas continue to raise the bar at Jackson Kelly.